OYO Sportstoys began selling officially licensed NHL minifigures this week. As of right now the teams they are offering minifigures for include the Rangers, Canadiens, Blackhawks, Red Wings, Maple Leafs, and Bruins. Other teams will soon follow. 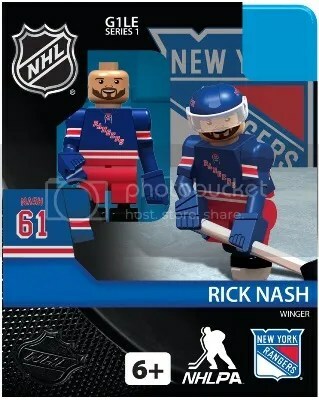 I’ve got to say that OYO really put some thought into their new line of hockey minifigures. Included with every minifigure you’ll find a stand, stick, helmet, shield, puck, and skates. OYO even designed the players to look like they’re wearing gloves. They could have easily just copied the basic design they use for their baseball and football players, but they went the extra step in redesigning the hands. The same could be said about the skates too. It won’t be long until you start seeing these guys pop-up at your local hobby shop or sports venue. Founded in 2011, OYO Sportstoys has seen much success with their line of officially licensed minifigures. This success has even spawned off Field Sets for both baseball and football. It really wouldn’t surprise me if we see hockey Field Sets down the road. The best thing about them though is that they’re fully compatible with other building toys such as LEGOs. Having a minifigure of yourself is almost an honor. Just like seeing yourself as a character on Family Guy or The Simpsons. Kids like LEGOs and kids like sports. Its only natural to put them together. Funky stuff like this is just awesome. I hope OYO sees a boost in sales with The LEGO Movie coming out soon. Congrats to Teresa on being the lucky winner of the 2-Pack NHL TeenyMates Contest. Once Teresa sends me her mailing address, TeenyMates will ship these packs ASAP. Thanks! This contest is for 2 packs of NHL TeenyMates. Inside each pack you’ll find 2 figures and 2 puzzle pieces. Good luck!!! This contest will end Friday, November 22, 2013 @ 8:00 p.m. EST. Once the contest is over, I will need the winner’s mailing address so TeenyMates can ship them these packs for FREE!!! 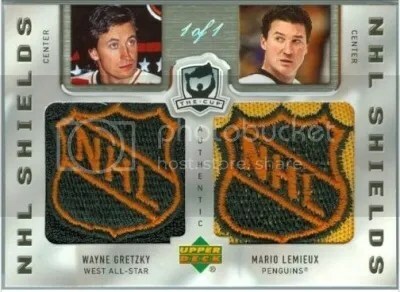 Congrats to turbomom on being the lucky winner of the 2-Pack NHL TeenyMates Contest. Once turbomom sends me their mailing address, TeenyMates will ship your packs ASAP. Thanks!